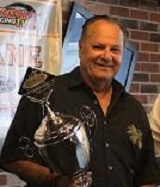 Mount Joy, Pennsylvania (May 7, 2017) – 19 career ARCA victories, numerous NASCAR starts, and success across numerous other racing divisions and sanctioning bodies – now add a planned full season in the Super Cup Stock Car Series for accomplished racer Bob Schacht. 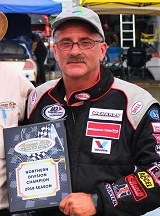 The Mooresville, North Carolina resident made his debut in July 2016 at Jennerstown Speedway (PA), shortly after being informed about the series. That enjoyment came in the form of a pair of third place finishes his first time out, an experience that has Schacht coming back for more in 2017. 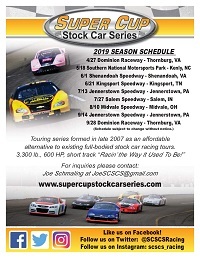 While the Chicago area born and raised driver has frequented countless facilities over multiple decades, most of the SCSCS schedule consists of tracks he has yet to visit. 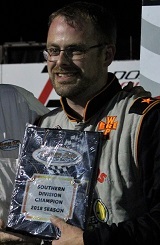 Nevertheless, Schacht is confident after working on the car over the winter that his team can contend anywhere. The team plans to shake down their No. 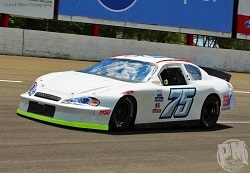 75 Engineered Components / Bob Schacht Motorsports Chevrolet at Hickory Motor Speedway and translate any feedback to the first event of the season at the 3/10-mile Midvale Speedway. 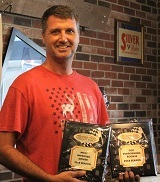 One event Schacht has circled on his calendar is Lonesome Pine Raceway in August. 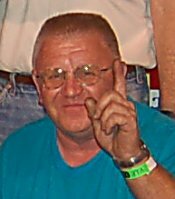 He feels the Virginia 3/8-mile track owes him one after last competing there back in 1983. 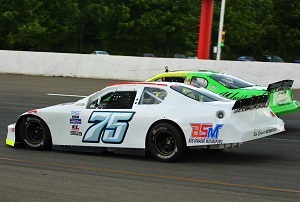 Race Day Schedule and preliminary list of entries for the Saturday, June 3 season opening Skipco Auto Auction Twin 50s presented by United Tire & Service at Midvale Speedway are now posted. 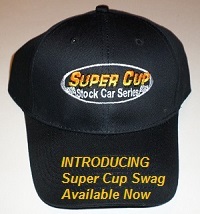 For continued updated information and to learn more about the Super Cup Stock Car Series and its partners, please visit www.supercupstockcarseries.com or follow along on Facebook and Twitter.